Well it’s been a few days since I got back from visiting Magnolia Market and honestly, the whole thing felt like a crazy whirlwind. It really went by in the blink of an eye. Plus I was basically on a cupcake induced sugar high the entire time we were there, which probably added to the haze of it all. But I’m so excited to chat with you all about my trip, I have tons of photos to share and a few reflections about the experience overall–as well as the surprising lesson I learned while in Waco. 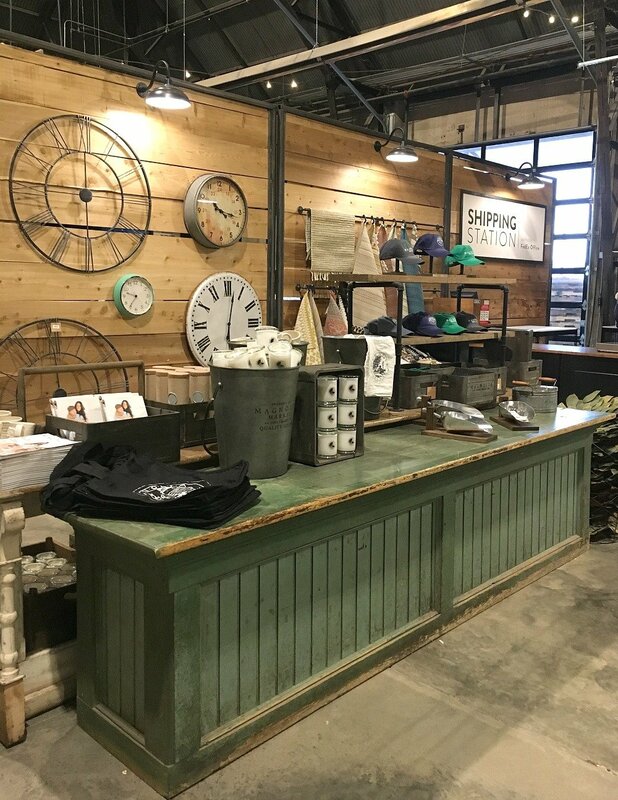 And be sure to check out the end of this post if you’re planning to make your own trip to the Silos, I have 5 key things to know before you visit. And also tips on visiting Waco! My husband I flew into Austin, Texas on Friday–we arrived around 3:00 in the afternoon. We rented an SUV and headed out to Waco as fast as we could, expecting the drive to be about an hour and a half. Well, it didn’t exactly happen that way. There was TONS of rush hour traffic getting out of Austin, then lots of congestion and heavy traffic between Austin and Waco. Unfortunately that really slowed us down and it ended up taking us about 2 hours and 15 minutes to get there, which meant we rolled into town right before Magnolia Market was about to close up for the day. This actually worked out in our favor, because the place was practically empty, which meant I got a ton of awesome photos which you’ll see in this post. You guys, I was running around like the happiest pregnant lady you ever saw–grinning from ear to ear. It was definitely a bit surreal to be standing in front of those iconic silos for the first time. Walking into the store for the first time was so dreamy. Every single detail is perfect, it’s really just amazing. 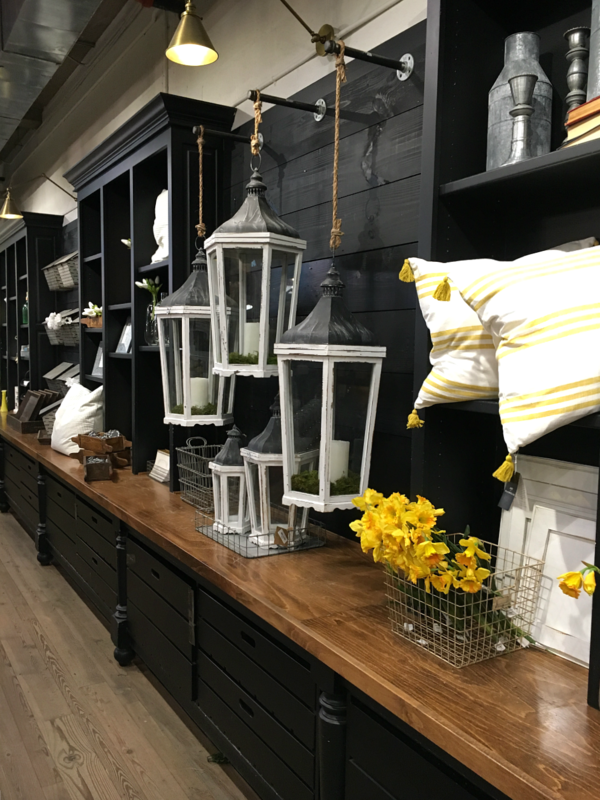 Joanna and her team have done an incredible job at styling the shop and making it an experience in itself. I’ve been to a LOT of antique shops and boutiques over the years and I can say this is hands down the coolest shop I’ve ever visited. We were so lucky to get in right before closing on Friday night so I could snap a few photos for you guys. Everything was decorated for spring and so lovely. It was awesome to be in the shop when it was so quiet. I didn’t realize it at the time, but we were lucky to be able to take it all in without all the crowds. I know it may sound silly to some, but it was so inspiring to just be there and have a few moments to soak it in by ourselves. When we returned on Saturday morning, it was a completely different story–TONS of people and lots of long lines. It was actually pretty cool to see how many people were just as excited as we were to be at the store. How stunning is this?! It might have been my favorite display in the whole shop. 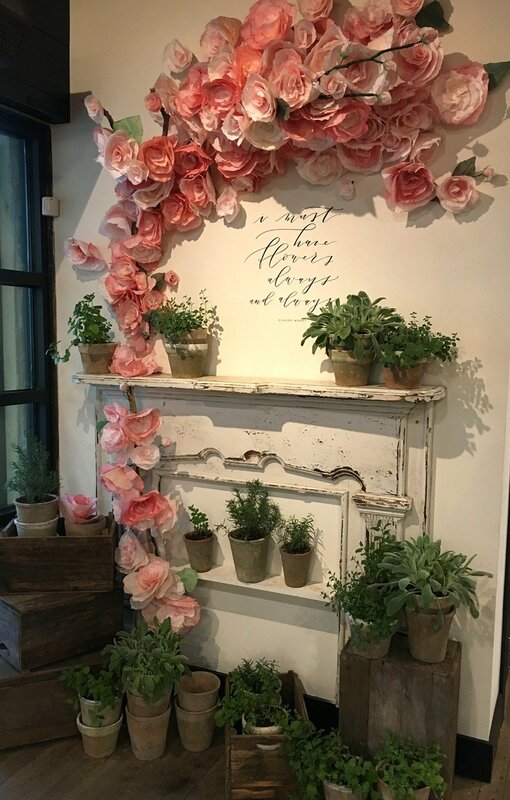 These faux flowers really had me fooled for a bit, I thought they were real! The whole place is just amazing and you could definitely spend several hours there without getting bored–at least we did. There’s wonderful music playing throughout the entire property, a giant astroturf field that is perfect for kids to run around and play, food trucks, a charming garden, a giant swing set, etc. It’s really incredible. Unfortunately it rained heavily while we were there, so we so we didn’t get to really enjoy the outdoor space as much as I was hoping, but it was still awesome. And honestly, it was such an inspiring place. The whole time we were there I just kept thinking about how much I admire Chip and Joanna’s entrepreneurial spirit. If you’ve read their book you know their amazing story. 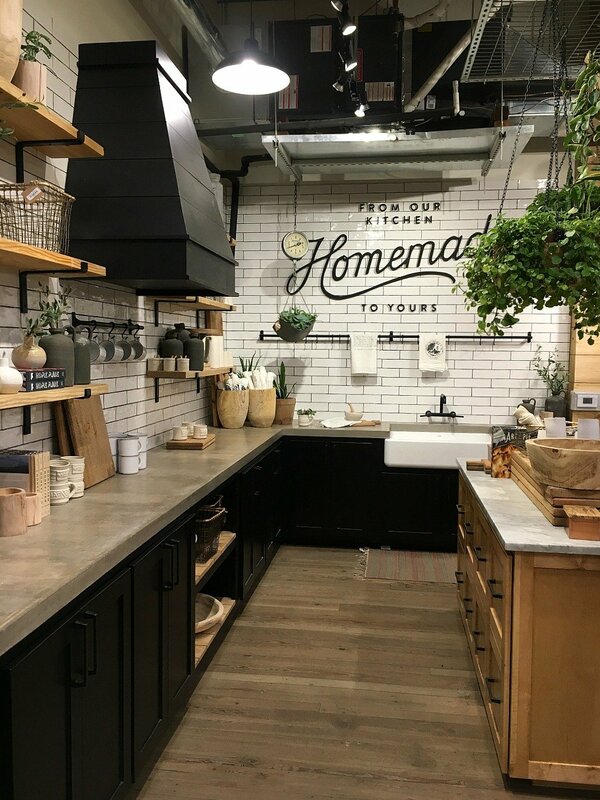 From their early days of renovations and fixing up rental properties, to Joanna selling decor out of her house and then opening her own little shop, which she eventually closed down to stay home with her babies. It’s really remarkable. And if you’re crazy like me, you’ve read Joanna’s blog from years and years ago, so you know what a truly incredible woman she is–driven by her faith and love for her family. It’s just so cool to see where they are today. You really can’t visit this place without being inspired. After finally visiting the Silos for myself, I think the biggest thing I got out of the trip was to take more risks in life. So much of what Chip and Joanna have accomplished is due to the fact that they said YES when they weren’t entirely sure of what the outcome would be. They went for it, even when the road ahead was unclear. That’s what I want to do. Set more goals and be less afraid to go after my dreams. Fear is such a crippling thing and it can control us in dangerous ways. And to be perfectly honest with you guys, I was pretty nervous about taking this trip in the first place. I’ve definitely become a homebody in my old age–a far cry from the girl that traveled to all the way to Uganda almost 8 years ago. Leading up to this trip I was getting myself worked up about being so far away from the kids for 2 nights, flying (which I don’t particularly love), traveling out of state at 22 weeks pregnant, the expenses involved, etc. I imagined up all sorts of ridiculous things that could have happened. But I made myself push that fear aside and just go. This is just a small example, but I think it’s true for many things in life–we often create so much fear and anxiety in our own mind about the what if’s that we talk ourselves out of opportunities and experiences that could have been really great if we had only trusted God and went for it. So that’s the lesson I want to take out of this trip: less fear, more trust, and more living. Tip #1–Getting to Waco: Whether you’re flying into Dallas or Austin, both are about 90 to 100 miles from Waco, make sure to schedule your arriving flight early in the day if at all possible. This will help you beat any of that late afternoon traffic that slowed us down so much. And the same goes for getting back into the city from Waco, try to schedule a flight early in the day. Tip #2–When to visit the shop & bakery: The best time to visit the shop is in the early morning right when the doors open at 9:00am, or any time after about 3:00 in the afternoon. We were there early, so we got right in when they opened. But by 10:00 people were wrapped around the block just to get in the store. Since they can only let so many in at a time, they have to start cutting it off and forming a line. One person in, one person out type of thing. Not ideal, but it has to be done in order to control all the crowds. Fortunately we didn’t have to wait in any lines because we got in right at 9:00. We went back around 3:00 in the afternoon and the line for the shop was much less intense. We actually didn’t have to wait to get in, which was awesome. The same is true for the bakery, which opens at 7:30am. Definitely do everything you can to get there right at 7:30 if you want to avoid waiting in massive lines. That’s what we did and it worked perfectly. In addition to baked goods, they also sell a few different biscuits and coffee, so we grabbed a light breakfast there and just carried our cupcakes around and ate on them throughout the day. It was worth the early morning because every time we saw the line for the bakery–even up until they minute they closed for the day–it was wrapped all the way around the block. But I will say, those cupcakes are insanely good and definitely worth the wait if you can’t get there early. We had 4 and they were all absolutely delicious. Tip #3–Where to park: The side streets fill up pretty quickly, but there are many paid parking lots within walking distance of the store. We actually found a free lot on the south side of the property that is reserved specifically for Magnolia customers. It’s right behind all of the food trucks and it had plenty of space every time we parked–it’s almost like people didn’t realize it was there. Definitely check this spot first, it’s super convenient. Tip #4–Choose wisely when you ship: The lower level of the shop actually has a FedEx shipping station, which is super convenient if you’re buying any large items. But keep in mind it’s definitely expensive shipping. We actually had this wood and metal mounted basket shipped, which cost about $75. Pretty pricey–especially when you consider the fact that I could have ordered it from their website and paid a fraction of the cost for shipping. Ooopsie. 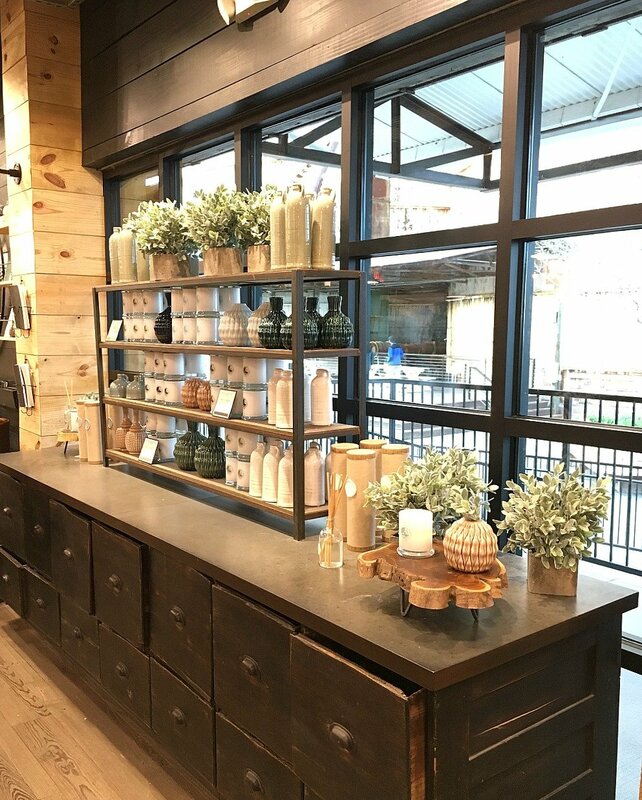 But I did learn that some items at the store are not available on the Magnolia Market website, many are reserved just for customers that make the trip to Waco. For example, the store had several authentic vintage seltzer bottles that were all very unique. I bought one and it’s probably my favorite find from the entire trip. So my suggestion would be to do a quick check to see if what you want to purchase is on the Magnolia Market website. If it is, you might want to consider ordering it online. You’ll save a lot of money in shipping that way. 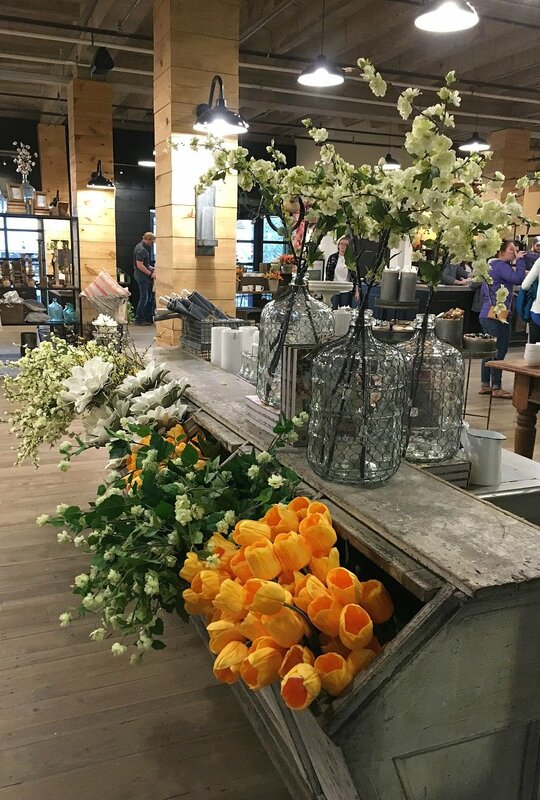 Tip #5–Know the Store Hours: I’m pretty sure the store hours fluctuate depending on the time of year and any special events that are going on, so definitely check the Magnolia Market website before you go. And as far as I know, they’re always closed on Sunday so keep that in mind too! 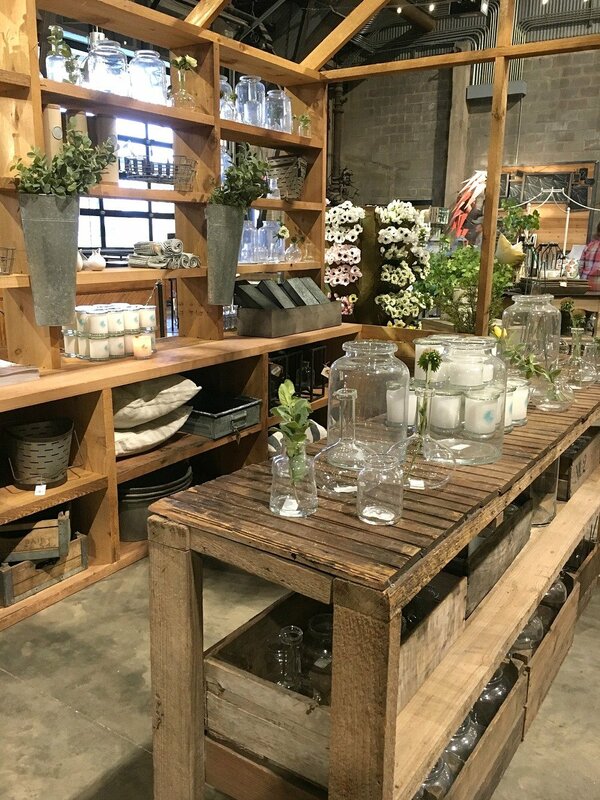 I hope this post helps if you plan on visiting Magnolia Market soon! Also be sure to check out my post about where to stay, eat, and of course shop for antiques while you’re in Waco! Read my tips here. GO HERE TO GET MY 10 BEST CHALK PAINTING TIPS & TRICKS! 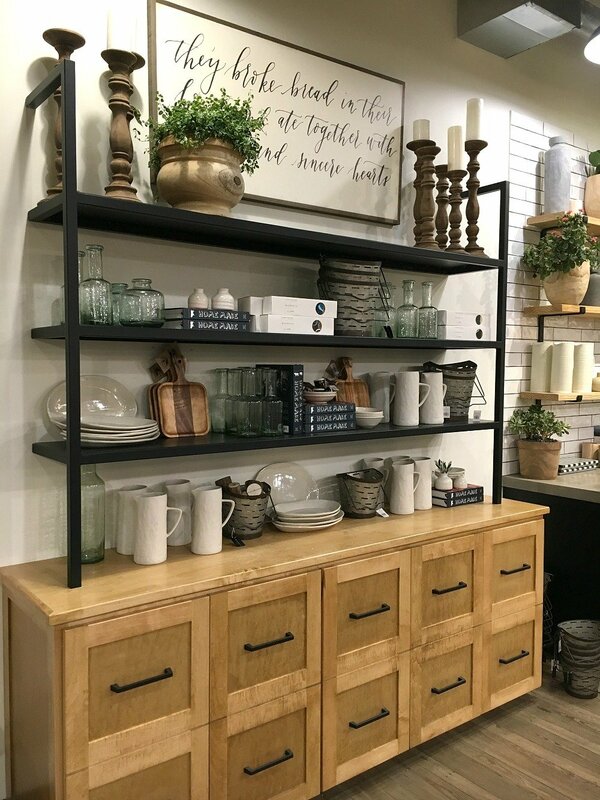 My Picks from Hearth & Hand by Magnolia at Target! Love Magnolia Market (we went last March ) The bakery was still under construction when we went so I guess I’m gonna have to go back. You have some great advice about lines and crowds and how to avoid them . I did come home with some great purchases but just being in the store was worth the trip. Did I spot the Seltzer bottle on your spring mantle ? That’s awesome Marilyn, you’ll definitely have to go back to visit the bakery–the cupcakes were amazing! And yep, that seltzer bottle in yesterday’s post was from Magnolia. Good eye! Sarah, I think I spotted Chip in one of your tulip photos! Such a fun post to read today. Thank you! Oh I wish!! I would have loved to see them! Is that Chip behind the pillar 11 photos down?! Has to be! Wonderful post, Sarah! Are you going to show us your purchases as you go along, or do we get to see them all at once? I would like both ways, please! 😉 Great tips, too! Hope I can use them someday. We had 2 of the shiplap, one classic, and one red velvet. They were AMMMAAAZZZZIIING!! Definitely, Julie! The seltzer bottle in yesterday’s spring mantel post is actually from Magnolia Market. I brought it back in my carry on! I plan to share more of my goodies in the next few posts. Hi Sarah. I’ve been getting your emails for maybe 2 months now, and I love your style, your home is beautiful and all your wonderful tips. Magnolia does look awesome, and I agree, you arrived at a perfect time. I have seen Chip and Joanna’s show on HGTV a few times, but Tuesday night I think it was, there were several reruns running up to episode for their new season, so I watch for a few hours actually. If not for that, I wouldn’t have know what Magnolia was, but I saw where they closed their first shop and the plans they had for the new Magnolia. Would love to check our their book. I agree with your favorite photo of Magnolia, I love it too. 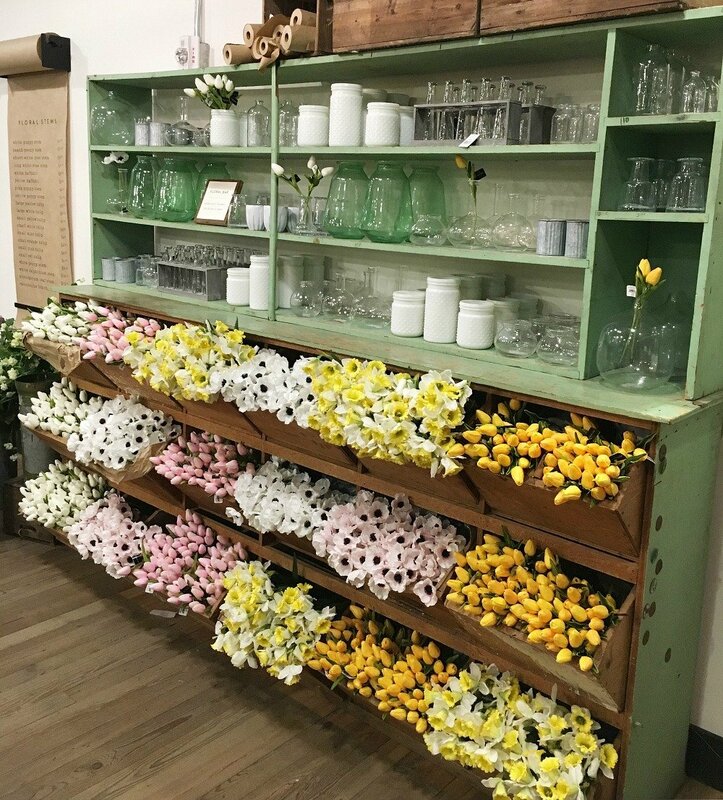 All the flowers, the green shelf. Green is my color, and then to see the long, long green counter, and later the green case with all the drawers! Wow, loved your photos. Very happy for them and thanks for all that you share with us! Oh Phyllis, you should definitely read their book. I promise, you will love it! It’s a quick read and so inspirational. 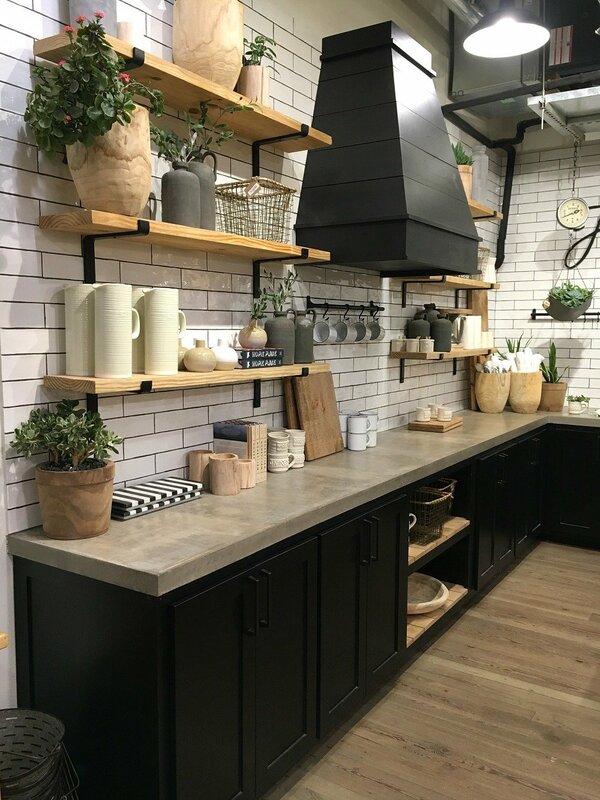 And I have to agree, I was drooling over all those green shelfs and antique counters. Every detail was just perfect and full of charm. Thank you so much for dropping by!! It all looks so amazing!! I think I would have left puddles on the floor because I would have been drooling over everything!!???? What an exciting trip for you! haha!! Heather, that was totally me Friday night when we first went in. Jaw on the floor and eyes bugging out! OMG, I was there two weeks ago, Loved it! I can’t wait to go back! I flew to family in Texarkana from Colorado, we then drove 4 hours from Texarkana and 4 hours back but it was worth every minute of it!. I love your pics Sarah, mine didn’t turn out that well. Love your blog! That’s awesome Dona! Isn’t it such a fun place?? Totally makes all the travel worth it. It is my DREAM to visit Magnolia! Sarah, once again your blog hit the nail on the head. I have been trying soooo hard these past few months to kick fear aside and just go for it. Trusting in God and knowing that He has a plan has helped me tremendously and has allowed me to find some peace in taking those risks. I agree with you about Chip and Joanna’s story. Their book was amazing and truly left me speechless. Your Magnolia tips will be so helpful when I visit…one day! 🙂 Thanks for another inspiring post, girlie! Such a great post, as always!!! 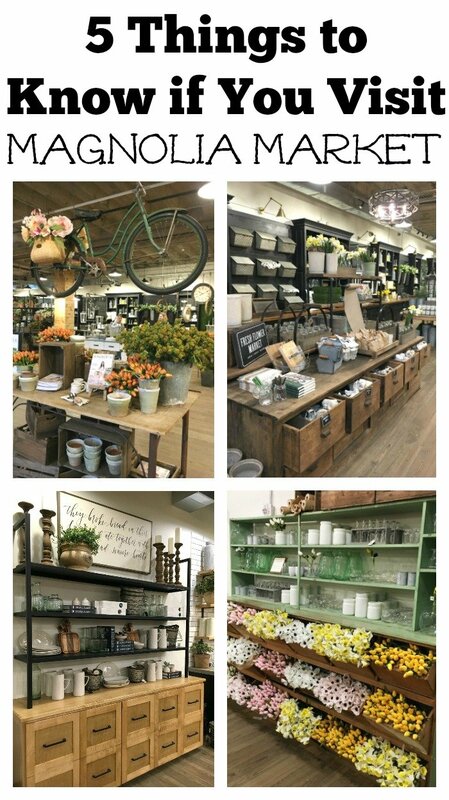 I’m dying to get to Magnolia Market! It won’t be happening for a long time, so I can live vicariously through your post. Thank you! And thank you for your wise words about “less fear and more living”. I needed to hear that! I definitely share all of the same anxieties you are speaking of, so it’s comforting and encouraging to see how you overcame them and found a great life lesson at the end of your trip!!! Thank you as always – your posts inspire and touch me every day! Aw Tracey, I’m so glad you were encouraged by this post. You know, I just didn’t feel like it would be honest to write the post without sharing how anxious I was to go in the first place. It’s definitely scary being so honest at times, but I feel like there’s no other way for me. I’m so glad to hear you can relate to those same struggles at times and find encouragement in my posts. You are awesome!! Being from Waco, I ❤ Magnolia and just thought I’d share a little bit about parking. They have a trolley that will pick you up at Spice and drop you off right in front of the Silos. The drivers are great. They are funny and give you a little tour and tell about the buildings and businesses in that part of town. I highly recommend taking one. I’m new to LVN and love reading your blog! That is a great tip, thanks for sharing Brandy! I’m writing a post about visiting Waco and I’ll be sure to add that tip. Thank you so much for sharing about your anxiety. I live in fear and anxiety daily. I have to push through just to do my daily activities. I felt connected with you and am grateful to know others struggle with this as well but God can get us through. Thank you for sharing! My husband and I are going to Waco in April! It was my Christmas present from my hubby!!!! Can’t wait! That’s awesome! I’m actually sharing another post next week all about where to stay, eat, and shop for antiques in Waco. Stay tuned for that!! Sarah, you’re such an inspiration & this post, in particular, has given me so much motivation to get past my fears & take some risks. Life is too short not to. Thank you!!???? Heck yes, Eve! Life is too short to not take some risks every now and then! Sarah, thank you so much for sharing the photos, it was almost like being there! I have been wanting to go, but things haven’t worked out schedule wise, so the pictures are a little extra to keep me motivated on plans! To you and yours, take care and as always stay safe! Your trip sounds amazing! The silos is definitely on my bucket list, hopefully within the next 2 years. I just finished their book an loved it. Their story is pretty crazy and I loved reading about how God was guiding them every step of the way. Thanks for sharing! Great post! I believe Jane is correct, look at the picture close sarah because I believe Chip was right around the corner from you ???? Oh thank you so much for all the pictures. I would love to see it someday but we live about 1200 miles away and just can’t afford doing it. So to see the pictures is a wonderful way to experience it. I too, am very impressed with the way they live their lives and think they are a great inspiration! Love your blog too! So glad I found it! I’m stealing something I just read in your post, “less fear, more trust, and more living.” That is my new moto. We went between Christmas and New Years…. I was lucky to have a relative in Fort Worth and I live in Tennessee. My husband and I went…. we watch the show regularly, but my cousin had never seen it, even though she is in real estate! Well, in December it was 80+degrees!, I was in pain from a knee problem and could barely walk, and my husband and cousin were bored…. we were “lucky” we could park at the door in handicapped parking, but we then waited in line for the restroom for 30 minutes…. I was so hot and tired and in pain that I could have enjoyed it more, and I was expecting furniture…. However, it was exciting to be there! I bought a few odds and ends and their book which I haven’t read, but wish I had felt better…. I’m lucky that I can go back again and be prepared….. maybe a girls trip and stay in the bed and breakfast! Overall, it was neat, but the problem was me! I did see Joannas mother talking to those waiting in line, but I didn’t realize till later who she was! I’ll definitely try it again!! Oh that’s a bummer Janet! Sounds like you were a trooper though, even with a knee problem. Maybe you can go again soon when you’re feeling better. Definitely need good walking shoes, good knees, and lots of patience for Magnolia! 🙂 Thanks so much for dropping by today. Hi Sarah, I just stumbled upon your blog while on Pinterest and instantly fell in love! Thank you for all the great tips and gorgeous pics! I love Chip and Joanna and just finished their book. They are truly inspirational! I hope to one day visit the Silos but I too am not a fan of flying. I do like what you came away with… “Less fear, more trust and more living” I really need to do more of that! Hi Maria! Thanks so much for your kind words about my blog, I’m so happy to have you here! And I agree, I think we could all do more living with less fear. It’s harder than it sounds sometimes, but I’m working on it every day. I went to Ft. Worth to visit my kids and grandkids, and my daughters took me to the silos just last week. My husband asked me what it was like, and now I can show him your beautiful pictures. They capture exactly everything we saw minus the hundreds of people! It was just lovely, so inspirational! Oh that’s awesome, glad to hear you had a good time there! I was so lucky to snap these photos when the place was practically empty. My daughter and I were JUST THERE and we were in awe as well! The store was very busy when we were there on a Wednesday morning, and that’s good and bad. Happy it’s so successful, but crowds definitely turn me off for shopping. Only got a mug and an adorable wooden pot from the garden store. Cupcakes and cookies are amazing! Line was long for the bakery, but they have a great system and it moved very quickly. Thanks for all the information on Waco and Magnolia. Some friends of mine and me are planning a trip to Waco this summer. We are going to drive, so we can stop over at other places on the way. Looking forward to your other places to stay and eat. So helpful. By the way love your blog. Found your blog on Pinterest and clicked over on where to stay, eat and shop for antiques. So glad I did. 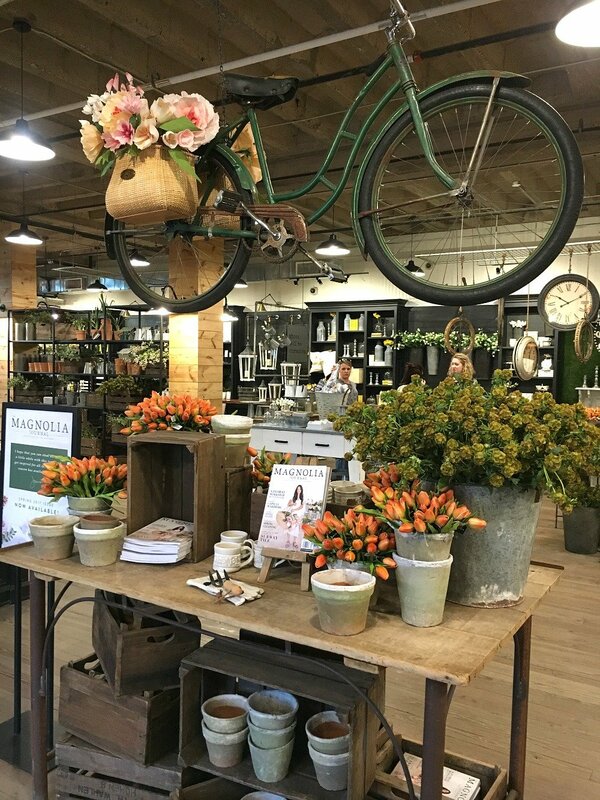 I live in Dallas and seeing your post confirms that I need to visit magnolia market again …and soon. Like you, I too am expecting (due July). Thank you for sharing your photos. The market looks very different from my visit last summer. I love that they change up the shop. Did you purchase the Magnolia Journal (magazine)? It’s heavenly! We went this past weekend for my Mother’s Day gift and I had to stop and cry several times! I too was just so in awe that I was even there! Felt like a little kid getting Disneyland for Christmas!! There we a million people there and I didn’t even notice! Truly such a special place!! Approaching 70 years of age…I too had the burning desire to visit the Silos. We had been staying on Dauphin Island off the coast of AL. My husband wanted to visit Southfork Ranch in Parker, TX where the show Dallas was filmed. So, off we went in March on a quest to see both places. The weather was perfect, the lines were long…but, everyone there was in the mood, excited and happy to be there. The visit was so meaningful to me…just the total overall concept of having a vision like that, and being able to implement the dream into a reality! Consequently when we arrived home in Michigan our daughter was also totally fired up about going there. Since our daughter, grandaughter and I typically take a November shopping trip…we are taking the plunge, flying to Dallas and heading to Waco. And like you I too have concerns…some people no doubt think this is crazy, expensive, etc. But this trip is about 2 things, making memories and showing both of them that dreams with faith and hard work can become a reality! Cute post. You look so thrilled to be there. Love it! I actually live four blocks away from the silos. Wanted to see how tourist perspective varies from the local’s. I hope you enjoyed your trip to Waco and you’ll be back one day. What?! 4 blocks away?? That is so cool Rebecca, I’m jealous! I love Chip and Joanna and their book is inspirational. I hope to visit Waco and the silos. So glad I came across you by fate!! Don’t let fear get in the way of your dreams. Have Faith!! Aw thank you Nancy! So glad to have you here and thanks for the encouragement. 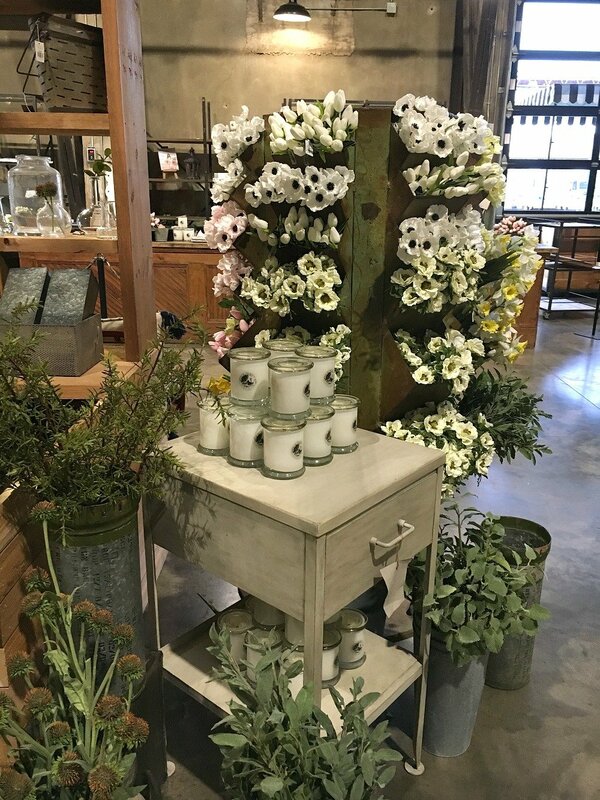 I loved your post so much that I linked to it from my post about my visit to the Magnolia Market. 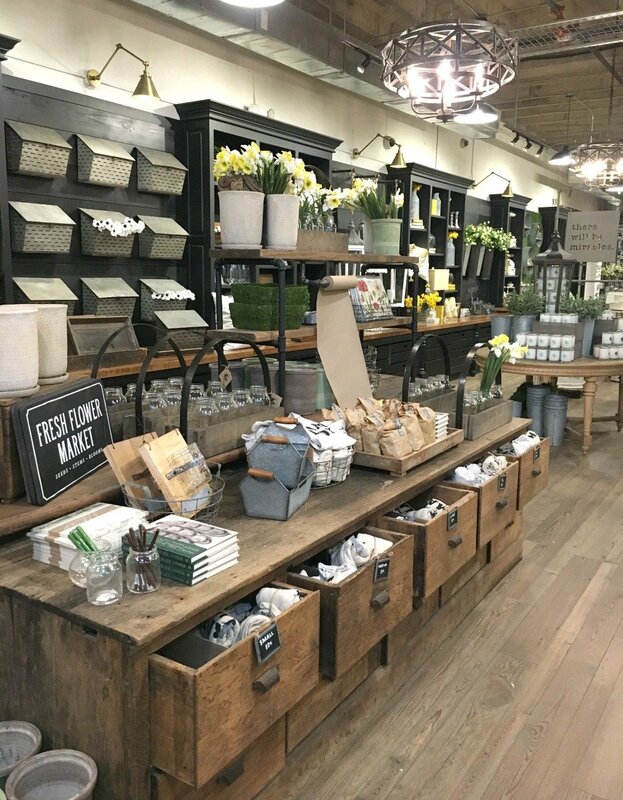 You can see it here: https://everydaywanderer.com/2017/09/13/4-things-to-expect-when-you-visit-the-magnolia-market/ All my best! Thanks for the pictures and tips…..I took me on a nice tour thru the Silos. My daughter and I are planning to take a trip to Waco sometime this summer. 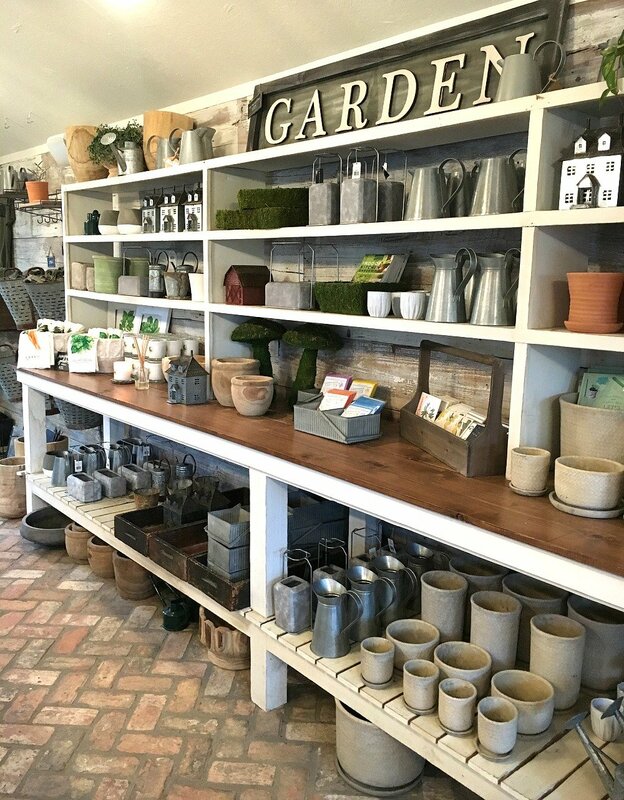 We want to spend lots of time at Magnolia Farms. I just booked a girls trip for a girlfriend and I to visit Waco. 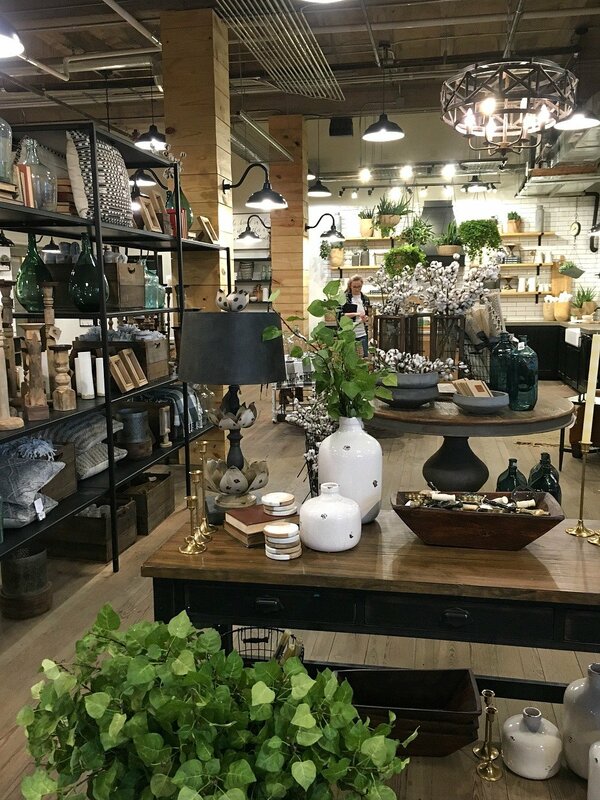 I am so excited as I am also a fan of the Gaines, the show and all of their decor. I have never been to Texas, so this in it self will be an experience. I do have a question for you and that is where do you recommend staying??? I don’t see to many places close to Magnolia Markets or Austin Street, so any tips you have for where to stay would be greatly appreciated. 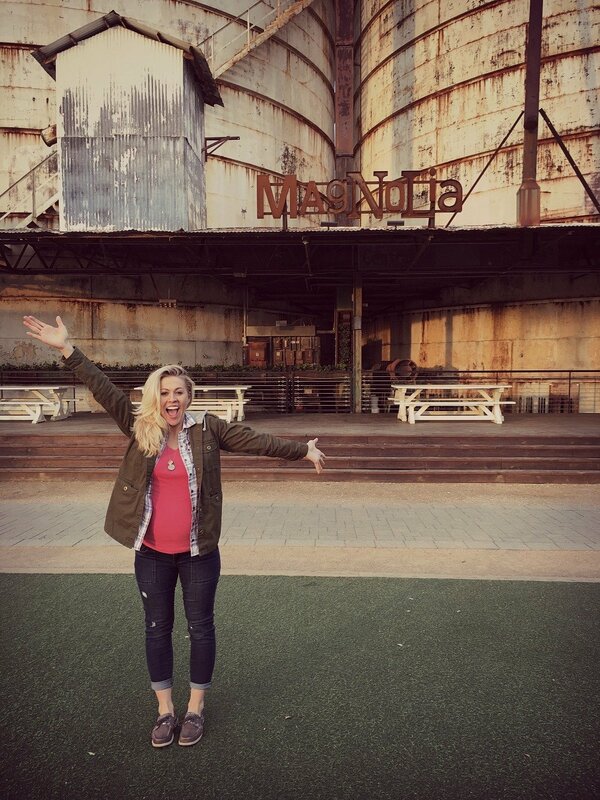 Cindi from Stephenville Texas, my daughter took me to the Silos last weekend and we had so much fun. We rented a hotel room in Hillsboro which was lovely and couldn’t beat the rate we got. A short 30 miles to Waco and the bonus of seeing the house Chip and Joanna remodeled in Hillsboro! We loved all of Waco, the whole vibe was very laid back, we found lots of fun downtown and will be going back. Funny how a comment said they were there in March of 2017 and the bakery was under construction because we were there in Feb. of 2017 and it was fully functional! Where do these comments come from? The shop was as well-we toured the entire area of Waco due to the fact we are considering a move to Texas and were interested in finding a “fixer upper” that the Gaines would be able to do (without the HGTV) and we were not interested in being on TV just having watched as fans and enjoyed the ideas and the renovations. Well needless to say that was NOT a possibility and we were very disappointed. So much for “fixer upper HGTV) stuff its a reality show after all. My daughter and I were house hunting and she learned about the Silobration event. We went, so glad we did! I wish I knew about the Waco Tours. My friend booked a tour recently. The guide actually bought a home made over by Chip and Joanna. She said it was insightful,fun, and a breath of fresh air. I’m going to book a tour the next time I go, which is in January 😊. I’m moving to Austin right after Christmas…so excited to take friends and family. Thanks for your tips. 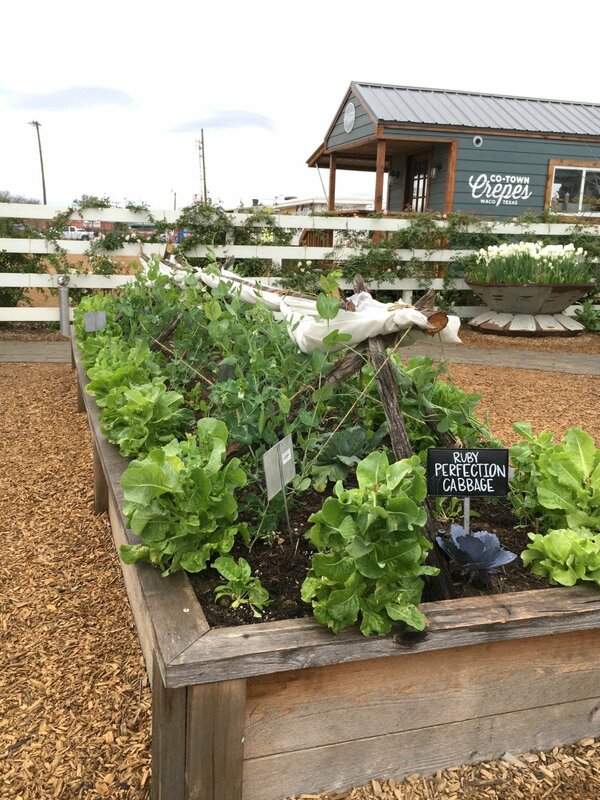 Sarah, your article on your trip to Magnolia market in Waco, Texas was great! 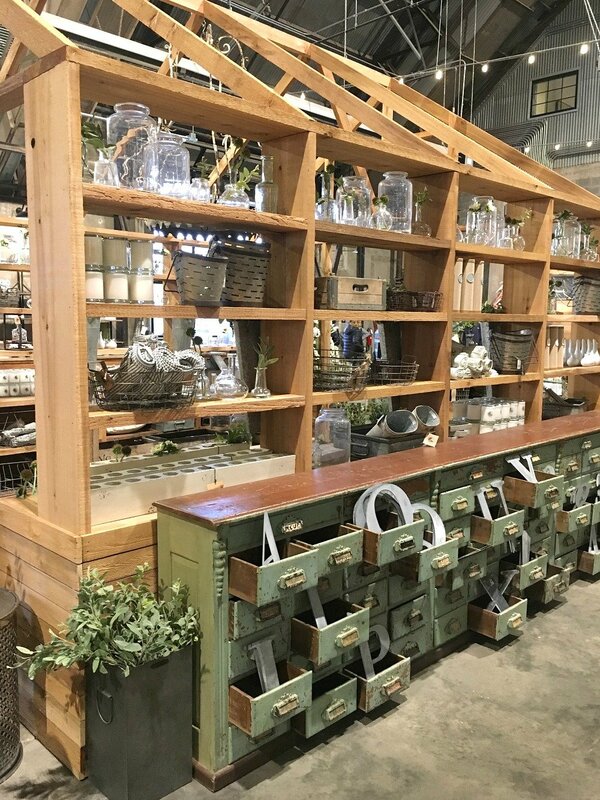 I love Chip & Joanna Gaines and a trip to their market is for sure on my bucket list. And thanks to you, I’m getting ready to read their book also. Thank you again and keep up the great reads. I love Chip and Joanne and there show. We went down their to the silos to see it and some shopping but once their and seeing everything I was disappointed in the size and inventory. I thought most of the product was over priced. Don’t get me wrong her product was really neat and stylish. Sarah, Loved your article! We are trying to plan a trip to Waco and I was wanting to know, where did you stay while in Waco? Thank you! Hi Nancy, we stayed at the Indigo Hotel. It’s awesome–highly recommend it. Sarah thank you for sharing this information. Going in March and I cannot wait. oh yay, have fun Pam! This was very helpful, talked my husband to taking me for the first time, huge fan so yes it’s going to be like taking a kid to a candy store, lol!! Please…leave us alone in Waco…our city is getting ravaged by tourists. Gentrification is demolishing our minority communities, the poor are getting hit the hardest with the assessors aggressive unwavering assault on property taxes which have doubled…no Wacoan wants this, 99% of us are horrified at what is happening to Wacoans because of this…its not right.